Aam Aadmi Party government maintains that it has little say in the national capital's governance. 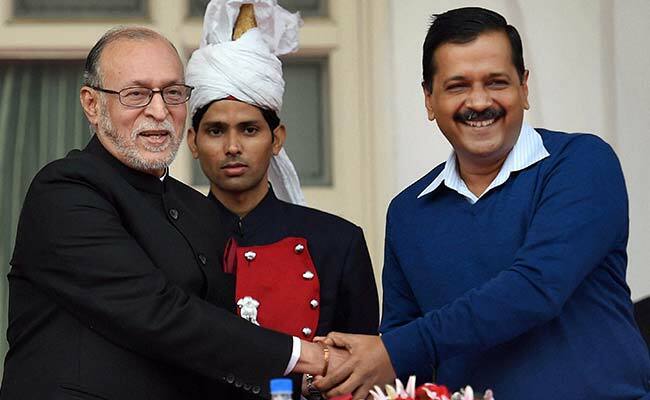 In a major setback to Aam Aadmi Party administration in Delhi, the Supreme Court today ruled that the centre controls the anti-corruption bureau and not the Delhi government. The top court has given its verdict on on petitions seeking clarity the powers of the Delhi government and the Lieutenant Governor. The two judges are divided over transfers, said Justice AK Sikri. "Manish Sisodia's work as education minister has been praised all over the world. But Satyendra Jain's work on Mohalla clinics is being hampered," Mr Kejriwal said. "Residents of Delhi have helped us win 67 of 70 seats. Those with 67 seats don't even have power to transfer the officers, but those with 3 seats (BJP) do," the chief minister added. "Today, the Supreme Court said we are not allowed to transfer ministers. If we cant transfer non-performing officials, then how can we work?," Arvind Kejriwal said. AAP said the decision of the Supreme Court is "unfortunate". "The Delhi government completed four years today. Since it was formed, the Centre has been creating hurdles in the works of Delhi government. We were hoping that after four years, the SC will give a clear decision in the case," party spokesperson Saurabh Bhardwaj said. Delhi Chief Minister Arvind Kejriwal will hold a press conference at 1 pm. Meanwhile, AAP is not taking the verdict lying down on Twitter. Rahul Mehra, who is representing the Delhi government, said that the order was a "setback" to the people of Delhi, and not the government. "I don't think it is a setback for Delhi government, it is a setback for people of Delhi, a more clear verdict should have been pronounced. We will continue to fight the legal battle; Delhi government will continue to fight its own battle," he said. Justice Bhushan says he only disagrees on Services issue. Justice Sikri says there is a difference of opinion on certain aspects between the two judges on the Bench. On transfer of bureaucrats, Justice Sikri holds that certain grade officers will fall under LG while others will fall under NCT of Delhi. Supreme Court Bench of Justices AK Sikri and Ashok Bhushan have arrived. Pronouncement of judgment commences.